Everyone’s favorite dessert is now perfect for any occasion! 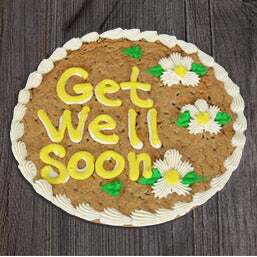 Our expert bakers have created giant cookie cakes, allowing you to send a message in the sweetest possible way. 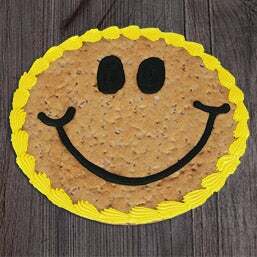 Each of our big cookies is 12-inches in diameter and decorated with sweet vanilla frosting, making them as pleasing to the eye as they are to the palate. 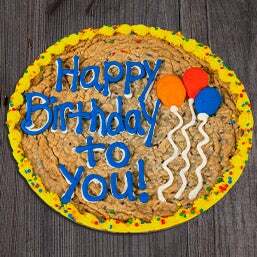 Our Gourmet Cookie Cakes are sure to impress every recipient! 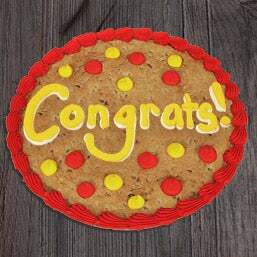 These giant cookie cakes are uniquely decorated with designs to fit every occasion. 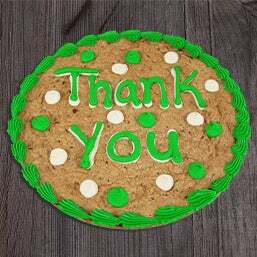 From Birthday Cookie Cakes to specially decorated cookie cakes for each holiday, our designers have done all work for you. 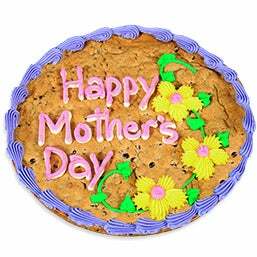 Our nationwide cookie cake delivery allows you to send a freshly baked goods gift to someone special in your life. 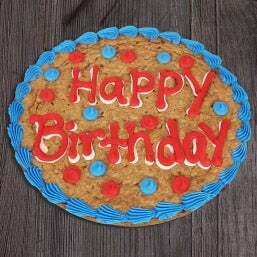 These decorated Gourmet Cookie Cakes make the perfect Birthday Gifts or Thank You Gifts, but if you're looking for a Baked Goods Gift Basket be sure to check out our collection of other sweet gift ideas from our bakery!